Anyone can wear diamonds, but people today are increasingly looking for something even more precious. For many, the idea that luxury is about having “nice things” has become too simple, and as we have more access to the finer things, the face of luxury is changing. Historically the term has been defined as enjoying the best in life — beauty, opulence, authenticity, and rarity, but also thought, skill, and innovation. Today’s luxury is evolving into a concept much more rooted in design. Fine jewelry is no doubt luxurious, but in a modern-day context, more jewelers are shifting their focus from stone-heavy classics to well-thought-out creations. 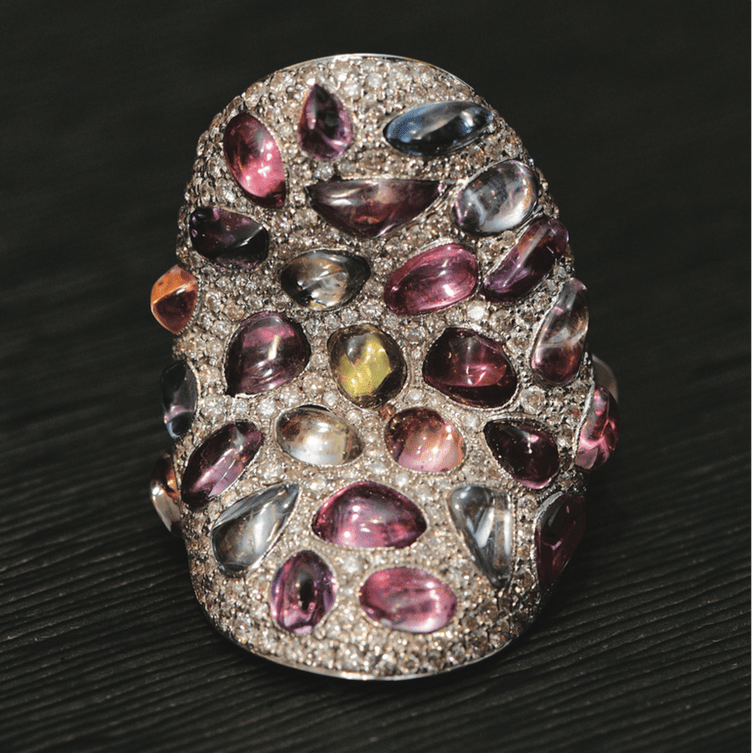 Lebanon has always been on the forefront of jewelry-making, and is traditionally known as the region’s goldsmith. The current landscape is dominated by popular brands that have strong marketing and offer affordable, relatively simple pieces, as well as those that make tried and true traditional solitaires and fancy sets of earrings and necklaces ­— jewelry that doesn’t necessarily have much personality but certainly looks impressive. 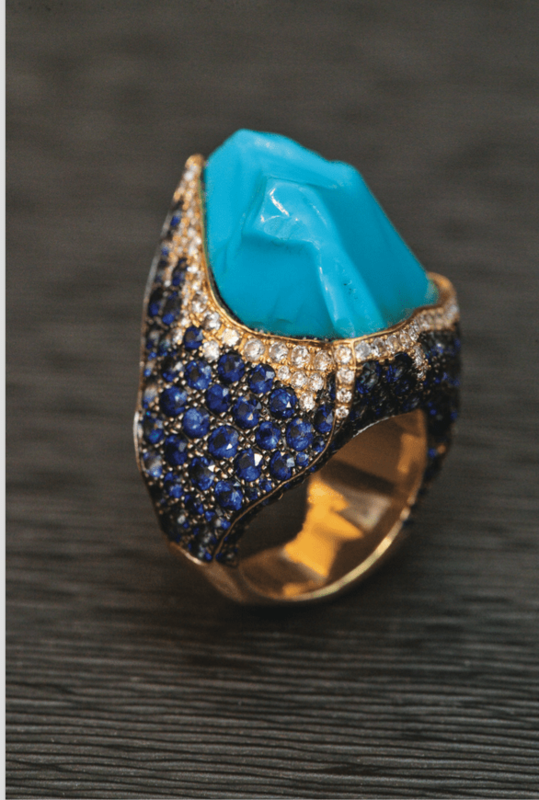 Yet in the space beyond traditional design, a niche breed of jewelers is emerging in Lebanon and the rest of the world. These jewelers — creatives with vision, character, and individuality — are catering to the new needs of the luxury market. The value and the corresponding markup on this type of jewelry is in the design, and more and more clients now appreciate this as a luxury worth paying for. 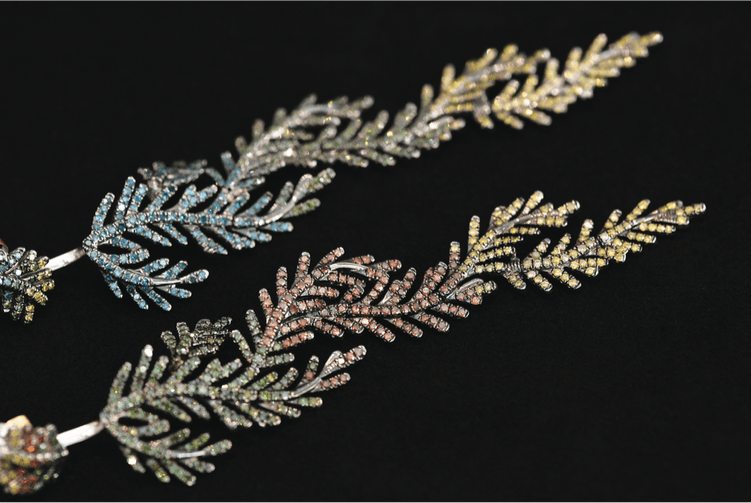 “I think there is a niche clientele who believe more and more that a piece of jewelry is not only the price of its materials,” observes Lebanese jeweler Selim Mouzannar. “Before, [clients]didn’t believe in something untouchable like creativity and considered the prices of [such]jewelry expensive. But now they believe it deserves the price — they believe in our creativity,” he says. 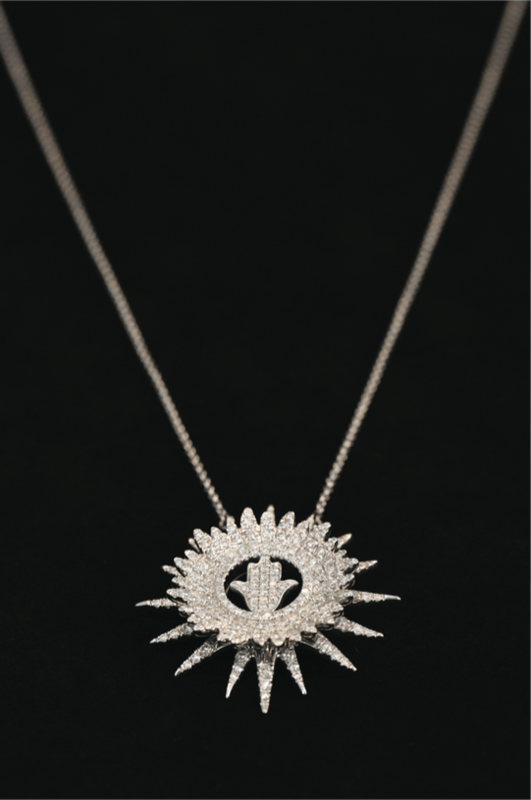 Coming from a long line of successful jewelers and founder of one of Lebanon’s most prominent brands with international success, Mouzannar says one of the things that marks his brand is that he always stays true to his own taste and designs only things he likes. Trends come and go but he doesn’t jump on every bandwagon, designing what he believes in. Innovation is also an important factor, though he admits there is only so much innovation you can have, and it’s difficult to reinvent the wheel in jewelry. “We are seven billion people on earth and all alike. We don’t create, we modify things we see,” he says. He has won awards for his pieces, his work has shown up on the red carpet starlets, and he sells at boutiques in Europe, the US and the Middle East. One of his latest collections features an enamel technique that he was first introduced to as a child in boy scouts. 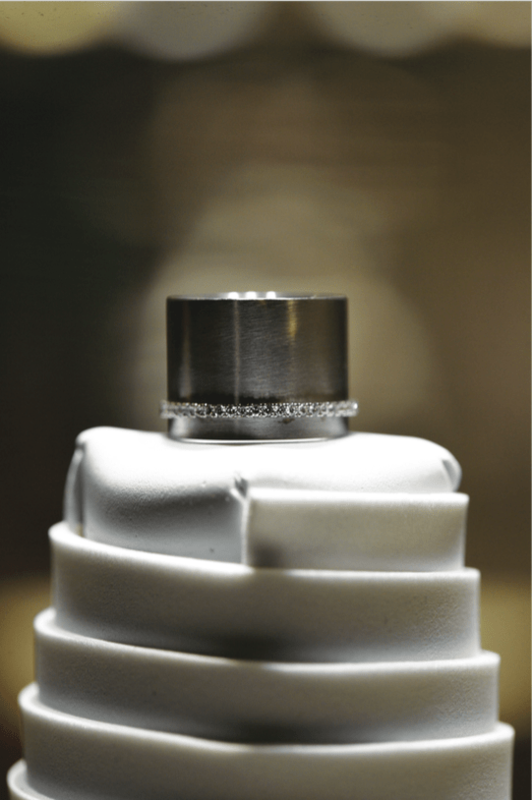 He recently sent craftsmen for training and installed a special atelier for this, launching a line that combines the lacquered-looking technique with diamonds and precious stones for a unique look that is both beautiful, regionally significant, and uncommon, all the while staying true to a very distinct character that is visible across all his collections. The success of the Mukhi Sisters is a testament to the fact that some clients are more interested in a specific aesthetic than a lot of stones. Maya, Meena, and Zeenat were born into a family of jewelers from Lebanon and India and essentially grew up in trade shows observing their family’s jewelry and the ideas of other creators. 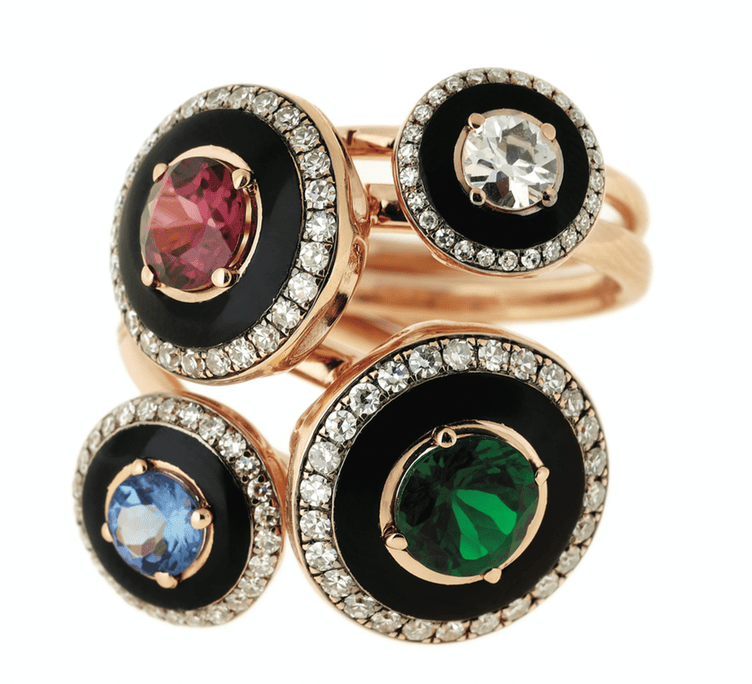 Launching their own brand in 2009 with Maya at the helm, the siblings’ line initially began as a reaction against the industry’s standard designs with big stones, always advertised against a black background. 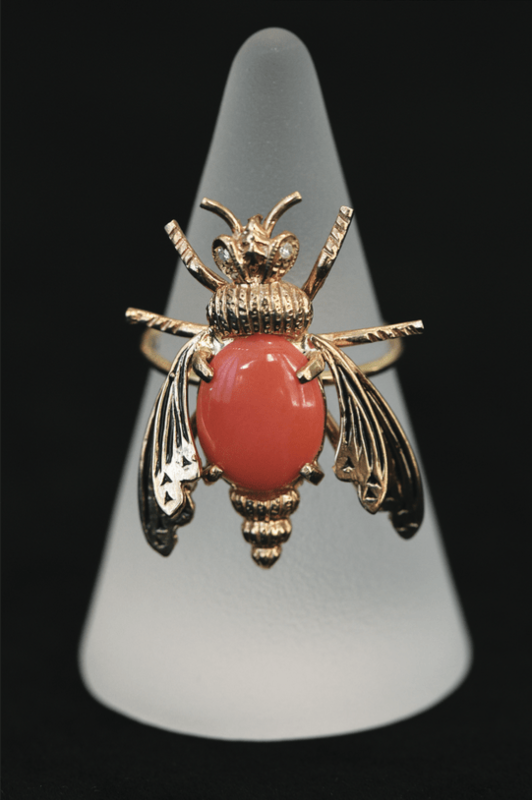 At the time they saw a need for small, fun, and affordable fine-jewelry and began to create colorful, whimsical, neo-bohemian pieces. But to them, business is about offering a combination of beautiful objects and feelings — the Mukhi experience, as they call it. The Mukhi brand taps into how they make their clients feel, which is also a mark of luxury. “We’re an industry of happiness,” Maya says of the jewelry business, explaining that a lot of their target audience are women who want to indulge in little luxuries. The sisters have cultivated relationships with clients — via Whatsapp updates on flash sales and casual chats about personal requests, as well as a lively Instagram page with charming and mostly unstaged photography — and say without social media they wouldn’t be where they are today. They’re also on the verge of launching an online store. Having a physical space is important too. Their current concept store on the back side of the Beirut municipality building in Downtown was conceived as a tribute to their grandfather’s old jewelry shop in Hamra and features additional space for items by other designers. Before opening in early 2017, their previous store was at Beirut Souks, where the concept was more like the cave of Ali Baba, where clients could sort through lots of little jewels piled into one display — an unconventional but fun way to shop for jewelry that’s true to the brand’s identity. Though she has a completely different look and philosophy, Cynthia Raffoul is also targeting women and their evolving lifestyles with her practical and wearable pieces. 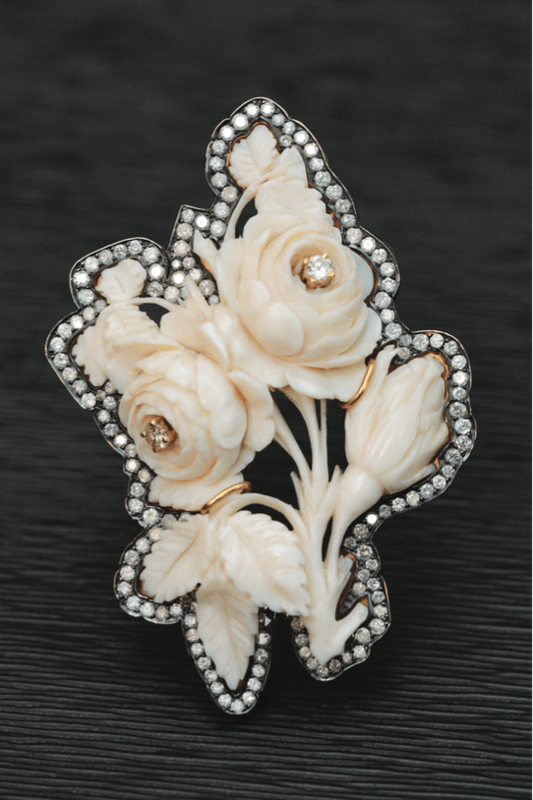 “Jewelry is [worn]on the body, and the body lives and moves. Today women have busy lives and [need jewelry]that can adapt to their life styles,” she says. Her jewelry’s clean lines and discrete but fearless designs include the newest “Second Skin” collection, which was inspired by her own desire to have an unconventional wedding ring, and evolved into a series of bands set on sheets of gold. 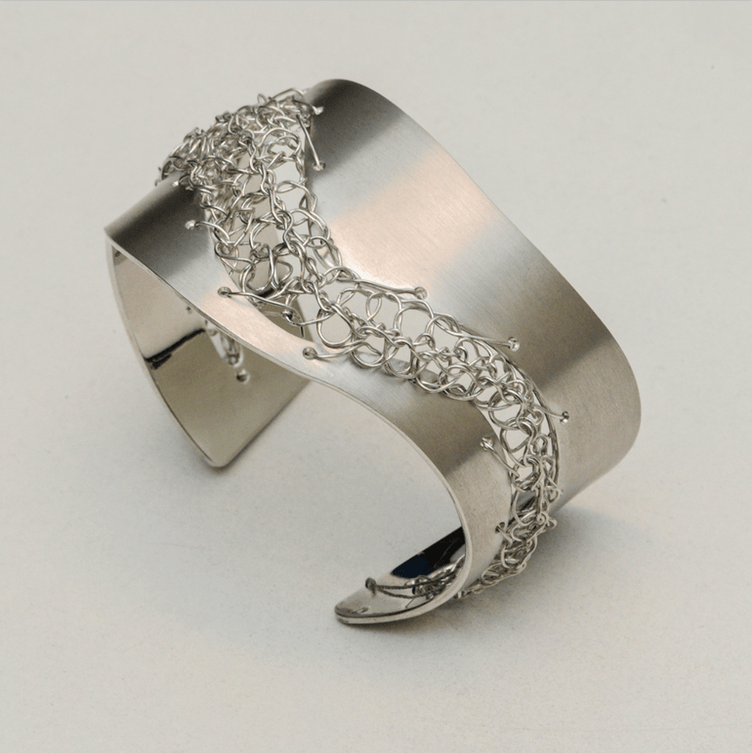 Other collections feature her signature spiral ring design, which allows for rings to be adjustable. The pieces are easy to wear from day to night, and have a graceful, contemporary simplicity about them. Her cozy boutique at the crossroads of the trendy Gemmayze and Mar Mikhael districts is designed almost like a cake shop, with large, suspended glass lids covering individual pieces. The long-running brand Andre Marcha, named after its founder, is now in its second generation, with daughter Stephanie and sons Bruno and Jeff working with their father on jewelry that epitomizes luxury without sacrificing design. Stephanie, who manages their store in the Phoenicia Hotel, which opened with the hotel in 2000, proudly shows off her father’s work — more works-of-art than pieces of jewelry. There is a large scorpion pin that must be worn on the shoulder (of a likely very confident woman), encrusted with over 7,000 diamonds; a smaller brooch of a beautiful female form where a giant uneven pearl forms the derriere; a gem-encrusted frog ring; another one in the shape of an octopus; striking asymmetrical earrings made of two unique rough opal stones; an orange coral made into a carrot brooch; a necklace of colorful candies; and a thousand other treasures. Most of the pieces are one-of-a-kind, and if another client likes something, they can make a similar variation of the same thing. A maternal nephew of the Boghossian jewelers, André Marcha himself is still the main designer, but everyone contributes ideas. 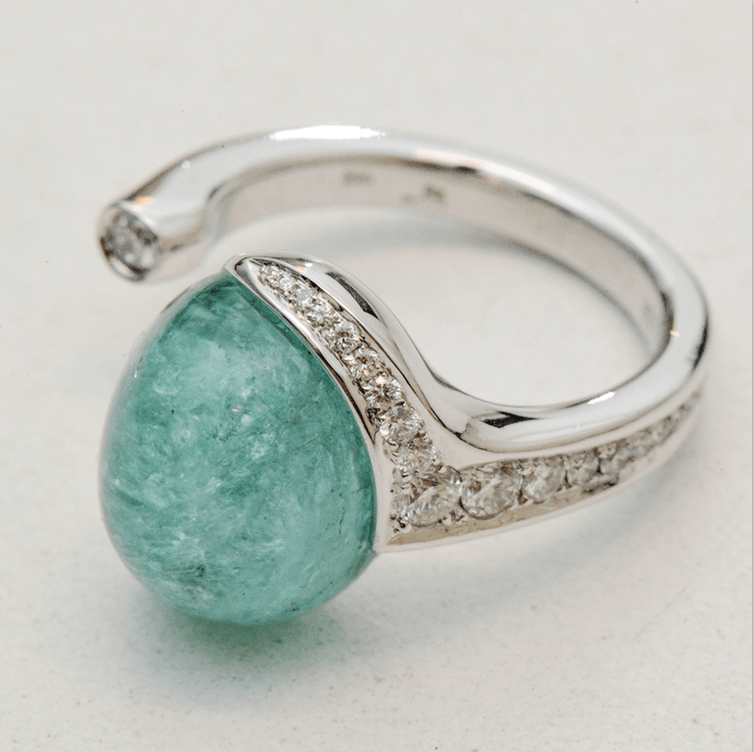 Stephanie scouts for stones around the world, and often the stones themselves inspire the design. “My father respects mother nature, and works around it. He has a beautiful imagination,” she says. Other pieces feature rare wood, decades-old mosaics, and carved antique ivory from Europe. Some of the newer items are more accessible — like the wonderland collection of smaller, more affordable pieces — to make sure caters to a wider variety of clients. 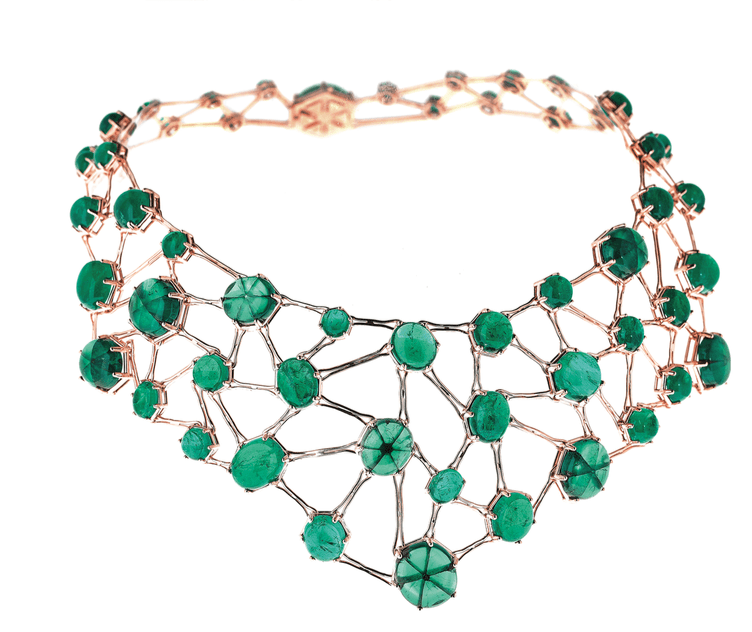 A relative of another family dynasty of jewelers, Randa Tabbah launched her line in 1993 as a hybrid between fine jewelry — like her family’s House of Tabbah — and the fashion jewelry she saw so much of in Paris during her studies and early work. “I wasn’t interested in the classical way of making jewelry. I wanted to make jewelry that is special,” she says of her limited edition and one-off pieces. Similarly to Marcha, Tabbah uses unusual stones, interesting pieces of wood, exquisite pearls and other materials, often letting the stone inspire the design. She also employs distinctive jewelry making techniques that she learned abroad, which is what she says sets her apart from other designers. Tabbah works on the jewelry herself in her atelier in Ashrafieh (unlike many jewelers who know and follow the process but don’t actually use their hands), only outsourcing certain steps to other Lebanese craftsmen. Her mostly repeat customers come to her boutique in Saifi Village when they are looking for something unique, she explains. In addition to fine jewelry in gold, she has a line of silver jewelry for those with a smaller budget. 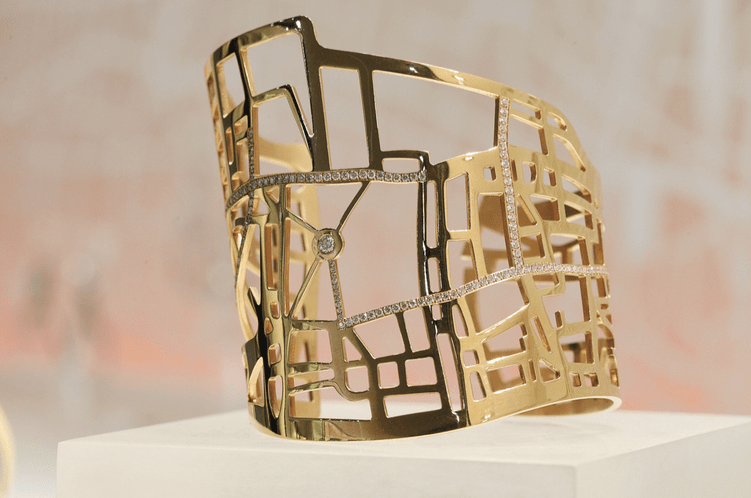 Recently Tabbah collaborated with her daughter, who is an architect and now works with her, on a fascinating collection of map-based designs, where clients can choose a specific area of Beirut and customize gold or silver bracelets, rings, pendants, earrings or cufflinks, with diamonds marking the spot where special memories were made. But overall he is hopeful about the future of jewelry in Lebanon, listing several up-and-coming designers (many of whose work is available at his Macle store in Ashrafieh) who are building strong brands. The growing number of jewelers, many of whom copy or don’t put a lot of thought into their designs, means competition is tough. With designers that stand out, their strength is also their weakness. 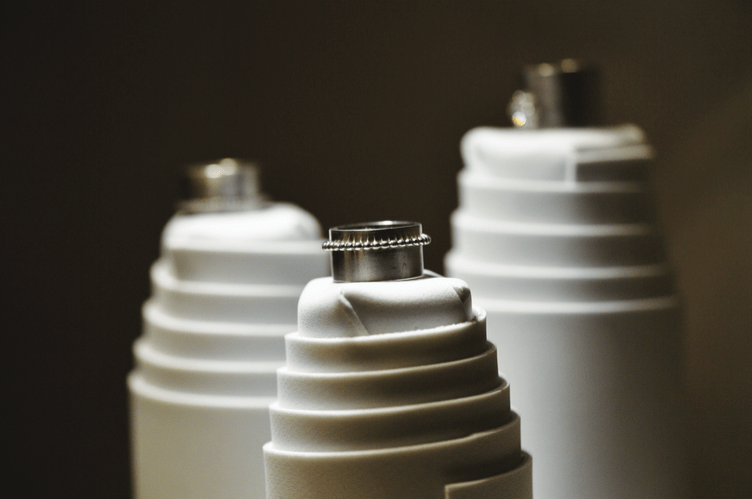 The masses tend to look around and buy similar things and while anecdotal evidence suggests the Lebanese are a nation of trendsetters, some designers disagree, citing the tendency to buy brand names and get identical plastic surgery. Raffoul’s experience is that people might come to the shop and express interest but ultimately buy what their friends are buying, not venture to try her relatively new brand. “A trendsetter is someone who dares to be different. They do what they really like and they are who they really are. A lot of people in Lebanon are not living how they would like to,” she explains. This notwithstanding, these designers and others are taking creative risks with their work, each in their own way, striving toward what they believe in and hoping more Lebanese will indeed become real trendsetters. If clients start to look outside the designer brand box at the real luxury of these offerings, they might discover a new aesthetic, and with it the kind of happiness that only being true to yourself can bring — a real luxury indeed.